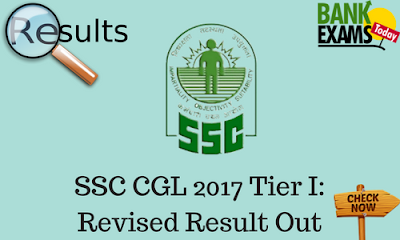 Staff Selection Commission(SSC) has recently revised the results of SSC CGL 2017 Tier I. You can check your Results from here. Click Here to download the Write Up. Click Here to download List 1. Click Here to download List 2. Click Here to download List 3.